Sidney Slon/Pipe Dream Photographer The BU Faculty Art and Design exhibit opened in the Rosefsky Gallery last Thursday. The artwork will be featured until April 18. On Thursday, March 28, faculty and students gathered for the opening reception of the Department of Art and Design Faculty Exhibition, an annual event that gives professors an opportunity to show their creative projects to the campus community. The exhibition was held in the Elsie B. Rosefsky Memorial Art Gallery, located on the second floor of the Fine Arts Building. The gallery is commonly used for hosting displays, lectures and seminars from visiting artists as well as Binghamton University alumni. The work available for viewing includes 16 pieces that encompass a broad spectrum of artistic styles, with many unconventional pieces to go along with more traditional paintings. The exhibition includes a visual demonstration of how visible light and color are formed, faces constructed from repurposed boxing gloves wrapped around welded steel and an Afghan rug made of miniature toy soldiers. Kevin Lahoda, a new adjunct professor in the department of art and design, expressed his excitement at the opportunity to contribute to a gallery with other professors in the department. Lahoda also praised the lack of a uniting theme of the exhibition, saying that it allowed for greater freedom in making an abstract or difficult to parse work of art. Gökhan Ersan, a professor in the department of art and design, praised the gallery as an impressive location given the University’s primary focus on research. “A research university giving this much space to art and design, that’s pretty remarkable,” Ersan said. Jackie Kachadourian, a senior double-majoring in theatre and art and design, said she was pleased with both the exhibition itself and the broader mission of the gallery to create a space for art at the University. According to Kachadourian, students unaffiliated with the art and design department should take the time to attend the exhibition because of the universal effect of art regardless of interests, and the power of a creative work to reveal parts of the viewer’s self that had previously been unexplored. 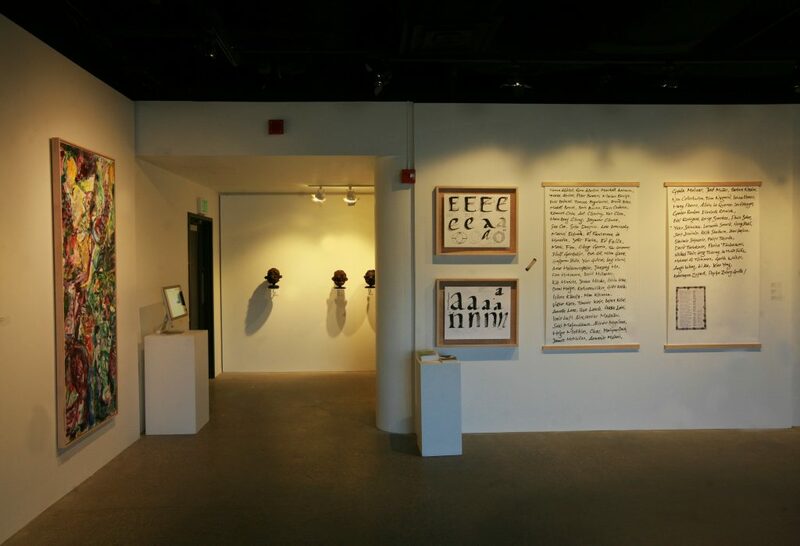 The Department of Art and Design Faculty Exhibition will be open until April 18. Admission is free.